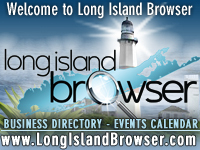 Long Island Valentines events, celebrating Valentines Day on Long Island New York. Every year, the fourteenth day of the month of February people their loved ones with candy, flowers, chocolates and other lovely gifts. In many countries, restaurants and eateries are seen to be filled with couples who are eager to celebrate their relationship and the joy of their togetherness through delicious cuisines. Tags: Long Island Valentines events, Long Island Valentines Day, celebrating Valentines Day, Valentines day events on Long Island New York, candy, flowers, chocolates, restaurants, dining out, Valentines getaways.